Endorsed Certificate from Ofqual's regulated Awarding Body. HR-Management. This introductory Level 1 HR Management Certificate is ideal for job seekers and existing members of the workforce alike. Study the role of the professional HR manager, along with a series of common HR challenges and the primary objectives of efficient HR Management. Discover how nurturing talent and providing consistent encouragement benefits the organisation in its entirety, along with how to provide constructive feedback and perform employee appraisals. Study HR Management course in your own time and at your own pace, with no time restrictions or deadlines to worry about! The HR-Management course gives you a basic understanding of a good understanding of HR procedures. Topics include: introduction to HR-management, primary responsibilities and daily duties of working HR professionals, HR code of ethics, benefit of providing the workforce with the highest quality training, and the effectiveness of employee training. Students also explore techniques and strategies for gaining better control of performance management. HR managers dedicate their careers to bringing out the very best in those around them. Recruitment and hiring, training and development, ongoing career progression – all geared towards the mutual benefit of every member of the workforce and the organisation as a whole. Effective HR management is not simply about supervision and providing instruction. Instead, it’s about identifying the hidden potential within every employee, providing them with the opportunity to grow, evolve and achieve incredible things. There is no particular entry requirement HR-Management. We do not ask for any previous qualification or experience. This HR-Management entry-level course primarily helps learners to lead on to further studies at a higher level. However, it can also prove useful for those already working in HR capacities with no formal training. how does the enrollment possess work? Dear Dan, You can purchase this course from Reed website, course access will be given to you within 48 hours after the course purchased. Once enrolled, you will get access to our Learning Management System (LMS). All our study material, additional learning material, and useful links are available online on our LMS from where you can download the study material and assignments. On course completion students can claim endorsed certificate by paying £45 accreditation fee and £9 postal charges. Dear Ross settle, The course is totally flexible and suits those who are in full-time employment or have busy schedules. There is no fixed timetable for study or for submitting assignments. You can work 4 to 5 hours a week to complete the course in 6 to 12 months time. There are no specific dates or deadlines for the submission of assignments. 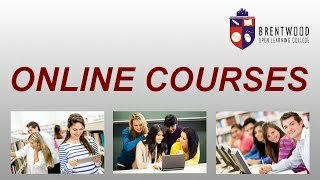 You can plan your studies according to your own convenience and can submit the assignment when you are ready for this.